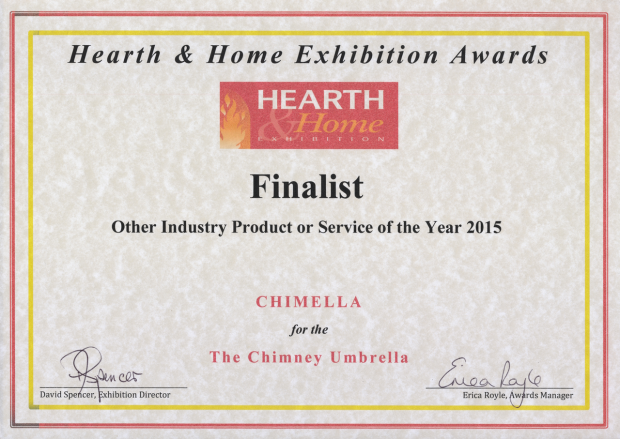 A proud moment for Chimella and true recognition within the industry for a fantastic product. I am not usualy happy to come second but to loose to the biggest chimney organisation in europe… Poujoulat… is something to be proud of. The Hearth and Home show was a real success for us and a big thanks go to Davis Spencer and Erica Royal for their support. Recognition for a Fantastic Product!